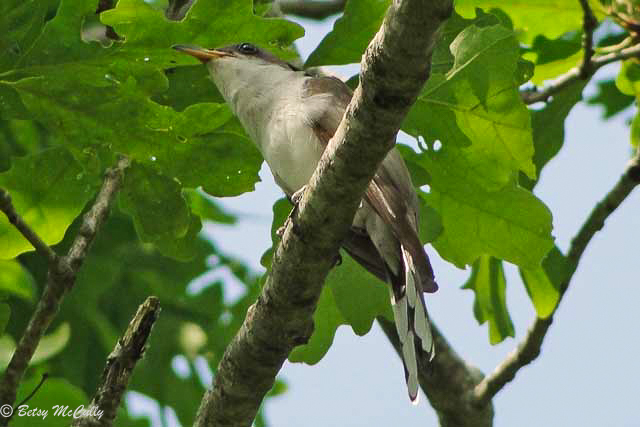 Yellow-billed Cuckoo (Coccyzus americanus). Open woodlands. Will eat webworms and tent caterpillars.